Why is Transformation so Difficult? It has been many years now since the concept of telecommunications transformation emerged, and yet we seem to be having a hard time getting there. Looking at the last time such a fundamental change was made leads to the conclusion that to achieve transformation, telecommunications companies (Telcos) need to learn to do business with small innovative technology start-up companies and to use business cases to help all portions of their companies to understand the need to implement the resulting innovative technology. As telco technology, services and business structures have evolved rapidly, operations environments have faced increasing challenges from siloed operations systems. To date, conventional technology from traditional vendors has had difficulty responding to the challenges. While small, innovative companies are starting to emerge, telcos have not had a lot of experience dealing with small, innovative companies. Therefore, with the prospect of increasing competition from OTTs on the horizon, partnerships between small innovators and large vendors are emerging. In a showing of unprecedented SDO collaboration, in mid-January industry experts from across a broad cross section of the communications and computing ecosystem came together in Louisville, Colo., to solve some of the current challenges in operations and virtualization. Today’s telcos have serious operational data silo problems. Currently, they respond with highly manual stopgaps that limit their ability to field new services, maintain QoE and reap the full benefits of new technologies such as NFV. Although the YANG model may make things better, a real solution requires deployment of an über-model. First, though, we need a bit of a primer on information and data models. For two information systems to exchange information they must have a common message format structure. The message format defines how the data that is passed gets its meaning. There is a data model behind the message format — and it’s either implicit or explicit. That is, system designers have in their minds a specific structure of parameters that give the parameters meaning. In order for both sides of the interface to have the same model, there has to be a common way of describing the data model. When multiple data models and their associated interfaces are combined to make a more complex system, the result is called an information model. What lies at the base of the operational data silo problem are a profusion of non-compatible interfaces and thus a profusion of non-compatible data/information models. Network Virtualization coupled with automated management is rapidly evolving into a game changer for next generation communication service providers due to growing market demand for flexible, agile and cost efficient multi-service support. However the possible gains are being eroded by existing management information silos, hampering flexibility and resulting in operational inefficiency. Our estimate* shows that even small Telco’s could be paying upwards of a $400 million Operations and Integration Tax every year. 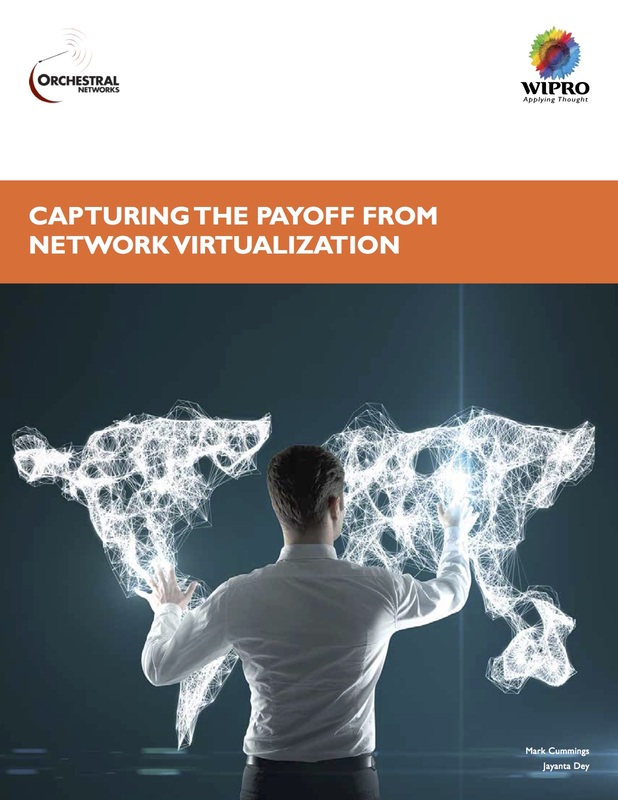 This whitepaper paper describes how partners Wipro & Orchestral Networks combine innovative technology, world-class engineering and deployment services to provide a cost effective way to solve this problem and enable an on-ramp for rapid NFV implementation. Wipro and Orchestral Networks are strategic partners. 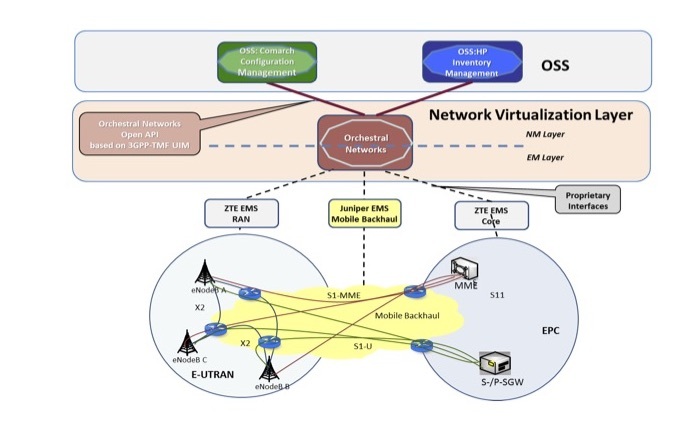 Together, they focus on delivering operations infrastructure solutions that meet network operators’ pressing need for multivendor end-to-end network optimization/orchestration while providing a rapid on-ramp for emerging standards (such as NFV SDN). The partnership combines Orchestral Networks’ innovative ON1 product with Wipro’s deep engineering capabilities.